I'm inspired by this Henri J.M. Nouwen quote hand-lettered by Kelly Cummings. 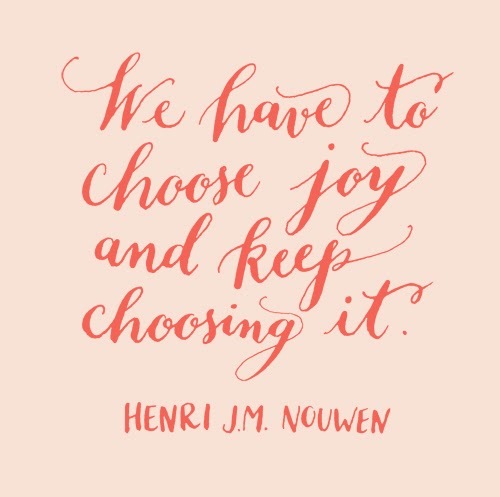 Great reminder that joy is a choice and perhaps being aware of and focusing on joy brings more of it into our experience. Happy Monday ... I hope you have a joy-filled and inspired week!